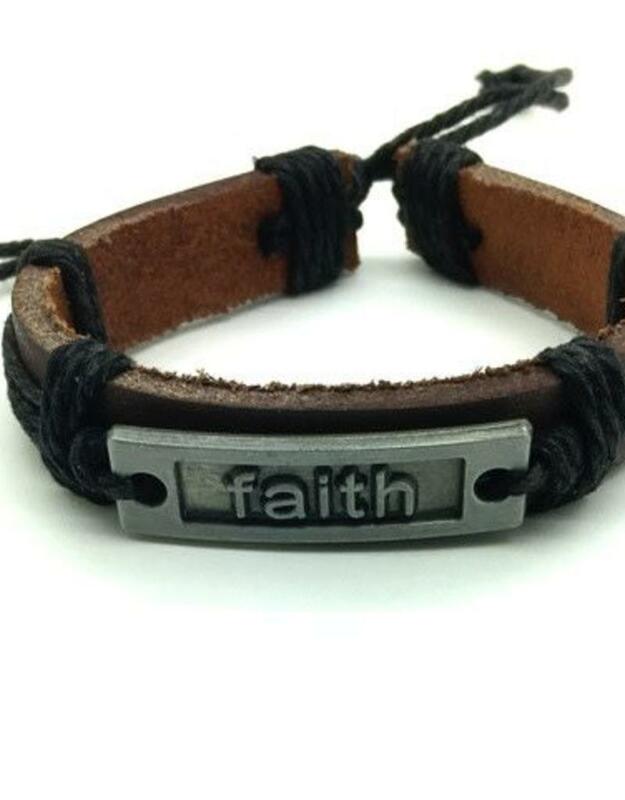 Faith leather bracelet adjustable to fit most any size wrist. 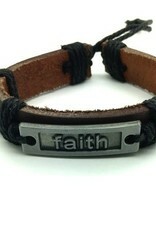 brushed antique silver metal FAITH plate attached to brown leather and black rope. A simple reminder to have faith.